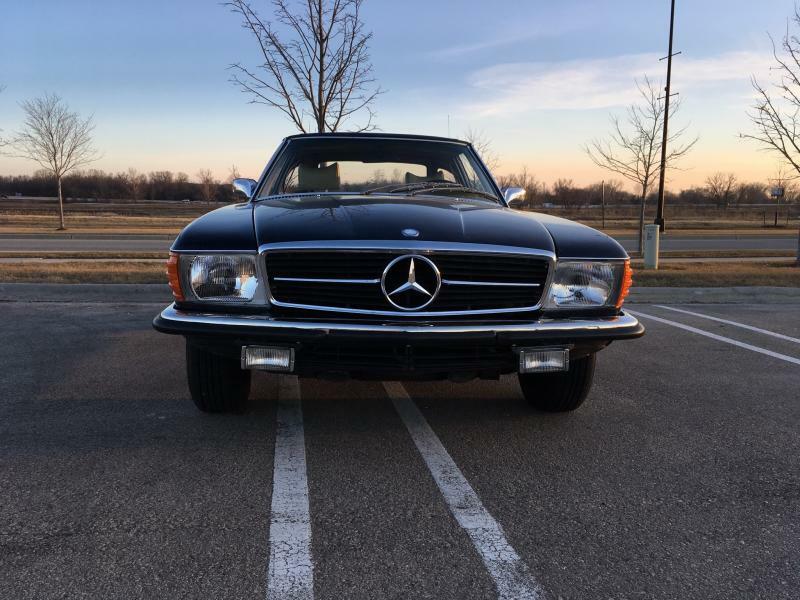 Mercedes-Benz Forum > Mercedes-Benz Roadster Forums > R/C107 SL/SLC Class > Finally installed my Euro headlights! Finally installed my Euro headlights! Results: looks good and very pleased! Also took car out for first time this season and ran her hard. 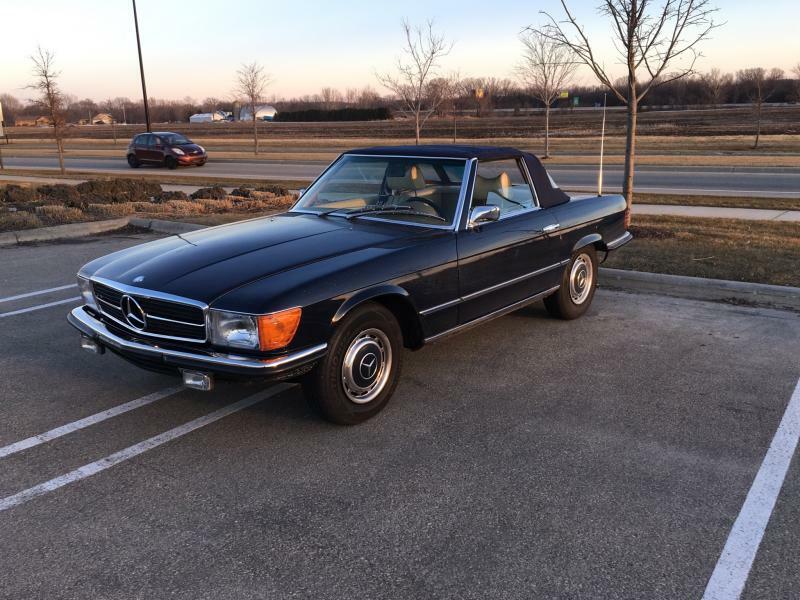 She’s running really well...can’t wait for some warmer weather to drop the top. nobby, roncallo, S320L1999 and 5 others like this. Love the look. I have a pair of euro bumpers, but no hardware to mount them with. I tuned her up today and made sure the timing was set for performance. I finally bought a timing light, getting the timing set is at the top of my to do list! What timing do you run? 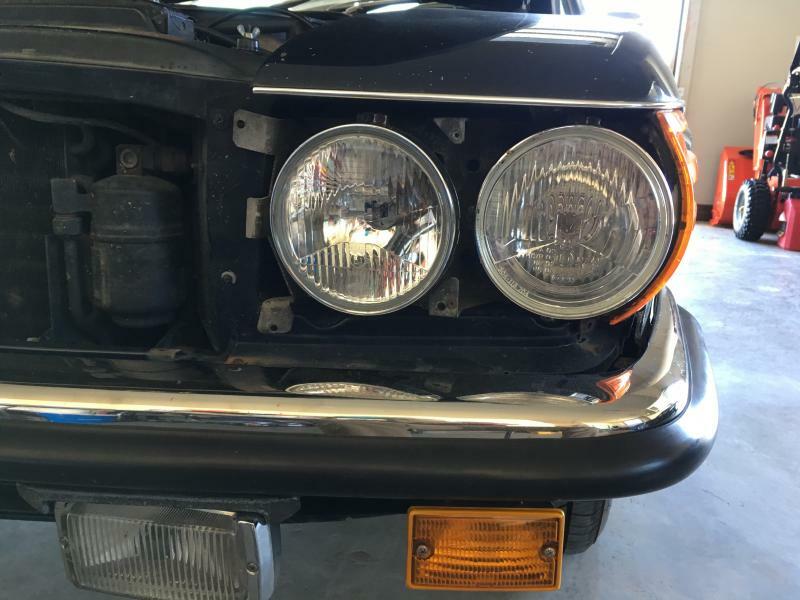 Any leads on where I can purchase a passenger side lens? 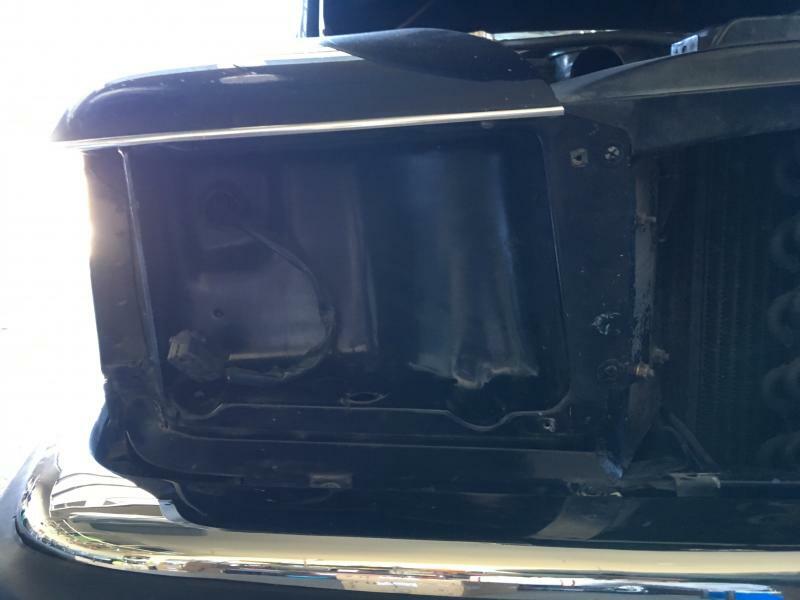 Rear bumper does not require any special hardware. 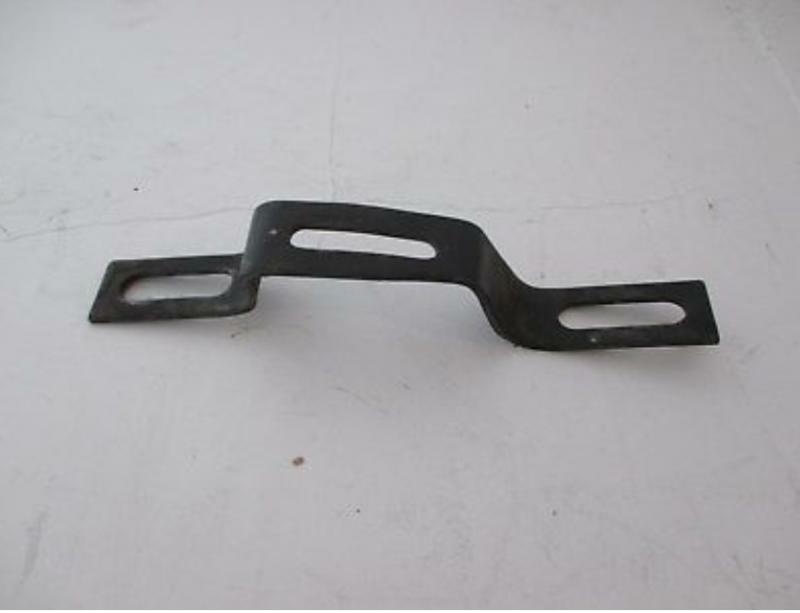 Front bumper requires 4 special brackets. 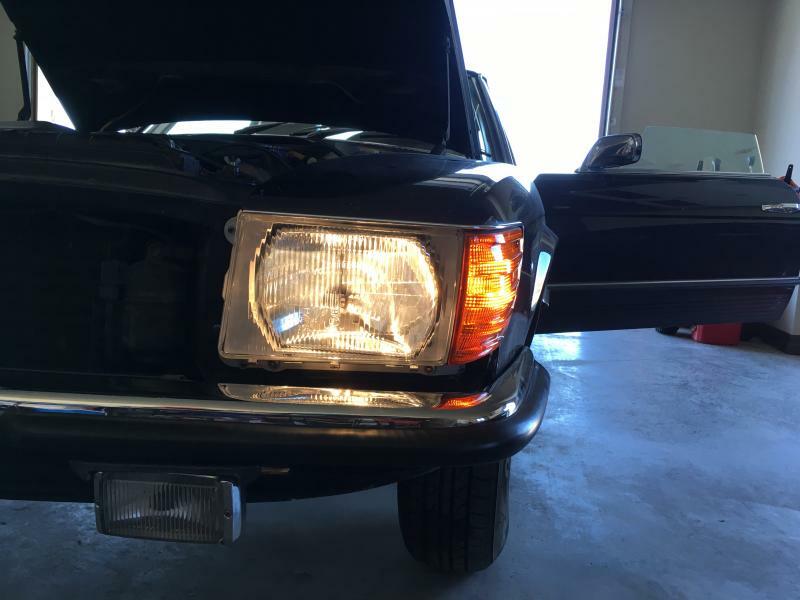 I only used two (pic below), made a couple PVC spacers and used existing hardware from the US bumpers to locate the sides of Euro bumper on the front fenders. I think those are still available from the MB dealer and you can find them on eBay. Welcome to the euro light club! Your car looks so good with them. Looks like you went with the 1157 socket mod too, while you were at it. If you set the timing to the factory spec (on the radiator crossmember plate) it will be 5 degrees ATDC. No performance. At least thar's what mine reads. I haven't used a timing light in years. I time it by ear and that usually works best if you want some performance.